Needs of the patients undergoing the treatment and recovering are different than that of patients in ICU. 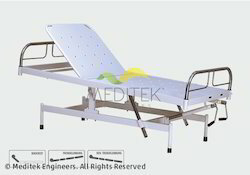 These beds promptly fulfil all these needs and encourage the patients to regain health. Two separate screws for backrest, trendelenburg & reverse trendelenburg position by individual SS folding handles. 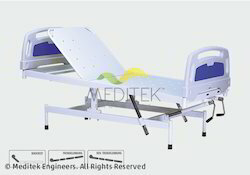 WITH POLYMER MOULDED HEAD & FOOT BOARD. Looking for Recuperation Care, Recovery Beds ?